Explore Gold Coast's surroundings by going to Brisbane (South Bank Parklands, Lone Pine Koala Sanctuary, & more) and Moffat Beach (in Caloundra). Spend the 18th (Mon) exploring the fascinating underwater world at Sea World Theme Park. There's still lots to do: find something for the whole family at Warner Bros. Movie World, take in panoramic vistas at SkyPoint Observation Deck, head outdoors with Pelican Feeding, and enjoy the sand and surf at Surfers Paradise Beach. 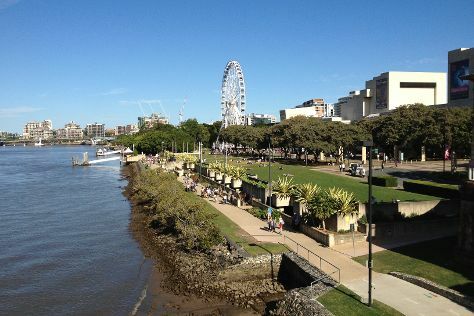 To see maps, more things to do, reviews, and tourist information, you can read our Gold Coast trip site . Kuala Lumpur, Malaysia to Gold Coast is an approximately 12-hour flight. You can also do a combination of flight and train. The time zone changes from Malaysia Time (MYT) to Australian Eastern Standard Time (Queensland) (AEST), which is usually a 2 hour difference. Expect little chillier temperatures when traveling from Kuala Lumpur in November; daily highs in Gold Coast reach 30°C and lows reach 20°C. Finish your sightseeing early on the 21st (Thu) so you can travel to Sydney. Sydney is known for nightlife, trails, beaches, parks, and museums. 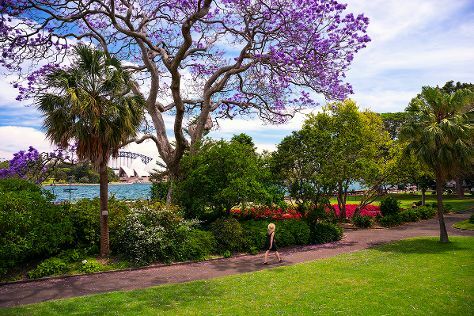 Your plan includes some of its best attractions: take in nature's colorful creations at Royal Botanic Garden Sydney, observe the fascinating underwater world at Sea Life Sydney Aquarium, enjoy the sand and surf at Bondi Beach, and stroll through The Opera House to the Botanic Gardens Walk. For traveler tips, ratings, maps, and other tourist information, read our Sydney itinerary planner. Getting from Gold Coast to Sydney by flight takes about 3.5 hours. Other options: do a combination of train and flight; or drive. In November in Sydney, expect temperatures between 29°C during the day and 19°C at night. Finish up your sightseeing early on the 25th (Mon) so you can travel to Melbourne. Dedicate the 27th (Wed) to wine at some of the top wineries in the area. There's still lots to do: admire the natural beauty at Royal Botanic Gardens, take in panoramic vistas at Eureka Skydeck 88, explore the world behind art at National Gallery of Victoria, and enjoy unforgettable views with a balloon tour. For traveler tips, reviews, other places to visit, and other tourist information, go to the Melbourne trip planning app . You can fly from Sydney to Melbourne in 3.5 hours. Alternatively, you can do a combination of flight and shuttle; or drive. Traveling from Sydney in November, plan for little chillier nights in Melbourne, with lows around 11°C. Wrap up your sightseeing on the 30th (Sat) early enough to travel back home.